Does a fish grow to the size of it's pond? Do fish grow to the size of a pond or tank? Do fish always grow to the size of their environment? I get asked this all the time at our shop. It is, for the most part, a myth. 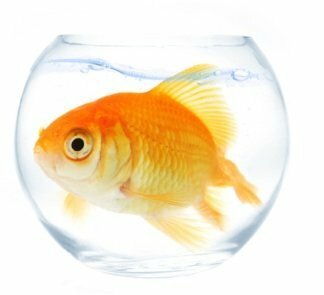 It is true that if you place a fish in a small environment, it will not reach its full-size potential, but this does not mean that the said fish will not outgrow this relatively small environment. For example, If you place a couple of koi in a 300-litre pond, the fish will not grow to their maximum size of 60cm, however, they can still reach around 35cm, which is too big for this pond. Fish do have requirements, in terms of space given for swimming around and live an enjoyable and healthy life. We recommend that koi need at least 1000 litres to be happy, in at least 300mm of water. Goldfish require at least 100 litres in at least 200mm of water. Fish health is often linked, in people's minds, to fish happiness. This, in my opinion, is a double-edged sword, for it is not enough to just say "my fish are still alive, so they must be happy", as we surely wouldn't say this about any other type of animal. What we can say, though, is that a "happy fish" is far less likely to get sick. In order to keep our fish happy, we must give them all the things that they need, such as clean water to live in, the right amounts of food and enough space to swim around freely and lead an interesting life. Latest research done by the CSIRO proves that fish have far great cognitive capacity than we had ever thought of in the past, labelling the old wives tale of a fish's "3-second memory" as rubbish. But as fish keepers, we know this. It is, therefore, our responsibility to provide an environment for our fish, that has enough space and interest within it. Things such as water plants, a fountain or waterfall, other fish friends and fish of other species all provide a more natural environment for your fish, and in our experience, leads to happier and HEALTHIER fish. Fish need to be fed in most fish ponds in order to lead a happy and healthy life. It is true that fish will find food naturally within the pond environment, but unless you only have a very small amount of fish in an extremely large fish pond, this amount of food will rarely be enough to provide them with the full range of nutrients that they want (and need).